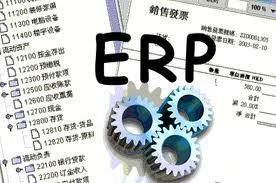 It is a common thought that as a company grows they will need an Enterprise Resource Planning (ERP) solution. It is a logical step when multiple systems are utilized to manage operations. When extra labor is needed to manage workflow. When customer service cannot keep up with demand. When suppliers and customers are requesting better and more efficient ways of communication, like Ecommerce, EDI, and Web Portal, for example. When you have no idea of your true inventory value. When your purchasing overhead becomes too great. In fact there are hundreds of symptoms when your organization is hitting the glass ceiling. There is more than one ceiling as your business grows. It is not just a symptom of a tough economy that makes looking for new solutions necessary. First and foremost, there is your competition and what they are constantly doing to take your customers away. The need to drive efficiency in your operations will always be a motivator. The need to manage costs. The need to reduce labor overhead. The need to meet compliance standards. The constant flux in technology. What are the latest buzzwords and what do they have to do with the customers I server daily? Why would my customers shop anywhere else? Perhaps they are constrained by budget too. Unless there is a compelling reason of great customer service experience or care, businesses are going to shop price. The relationships you build are what bind your customers with you. You should have the same level of relationship with your ERP solution provider as you do (or want) with your customers. What makes a good relationship? How about open communications and they listen to you and understand your needs? How about the “feeling” that they have your best interest at heart, even if it means you do business with someone else. Benefits of a new solution include centralization of key data in a central repository for better and faster decision making. Streamlined operations to save time and money. Single point of entry. Real time access to information. Flexible reporting. Improved employee productivity. An ERP solution provides a scalable solution for new growth and expanded relationships, and improved customer satisfaction. A thorough analysis is needed and that is where a trusted advisor can help you navigate the sea of change. Dolvin Consulting works with industry experts to help you define your needs and constraints and match them with available solutions. Contact us today to see how we can help your team.